Cultural Quarter 6 min, Liverpool. National September 11 Memorial and Museum, New York, United States of America from the series Site/Sight was selected for the Royal Photographic Society's International Print Exhibition 159. The show is touring many venues in the U.K. - over 100,000 people saw it at the Royal Albert Hall in London! Ithaca College's Handwerker Gallery was the venue for an installation of The More That Is Taken Away, October 28 - December 12, 2016, with full video of Act 1 and excerpts from Act 2, along with 22 B&W prints from Act 1 and the 20 life-size self-portrait-in-the-pit images printed on cotton fabric. The framed B&W images from Act 1 then moved to the Sol Mednick Gallery at the University of the Arts in Philadelphia for a show from January 3 to February 2, 2017. Light Work in Syracuse, NY, kindly invited me to exhibit my project Site/Sight. The show runs April 21 to July 22, 2016. **Extended until August 8. 2016! ArtRage Gallery in Syracuse, NY, is the venue for People Who Came To My House. The exhibit consists of 11 portraits from a project I did ten years ago in Chicago, along with nearly thirty portraits by Syracuse area photographers taken during the year 2015. There is also a video component (27 minutes), created by Blue Light Media. The video trailer gives a nice introduction to the show and the concept. April 9 to May 7, 2016. It's a thrill to see my concept expanding outward in this way in another city. Seeing Memorials at CSMA in Ithaca, NY, from February 5 to March 29, 2016, was an installation of 49 photographs from the last ten years. They come from several bodies of work but all explore questions of how we memorialize difficult histories, from Wounded Knee to Hiroshima by way of the Western Front and the Holocaust. Arthur Whitman wrote a thoughtful review. The More That Is Taken Away has been selected for the 2015 Crtical Mass Top 50. After an intial cut to 200 finalists, this annual event puts a portfolio of work in front of 200 jurors to select the Top 50. One print from the portfolio is shown at Fotofestwal Lodz, in Poland. I couldn't be more delighted to have a show of work from my project Site/Sight at Kopeikin Gallery in Los Angeles. Copyright © 2015 Ben Altman, All rights reserved. Site/Sight was recently selected by juror Paul Kopeikin for the Houston Center for Photography's 2015 Fellowship. The show opened May 8 and runs to July 5, 2015. It will then move to Paul's Kopeikin Gallery in Los Angeles, CA, from July 18 to August 22, 2015. First Place Award at the Schweinfurth Memorial Art Center, Auburn, NY Made In New York exhibit went to National September 11 Memorial And Museum. New York, United States of America. It was one of two pieces from Site/Sight in the show, which runs until June 7. Three pieces from Site/Sight were accepted to the 65th Rochester Fingerlakes Exhibition at the Memorial Art Gallery in Rochester, NY - July 26 to September 13, 2015. Opening reception July 25. I'll be giving a talk August 6. One piece from The More That Is Taken Away will be part of UnBound4! at Candela Books + Gallery in Richmond, VA, July 3rd - August 1st, 2015. Public opening reception: Friday, July 3rd, 5-9pm, Fundraising UnBound4! gala event: Saturday, July 11th, 7-11pm. The same image received an Honorable Mention from juror Elizabeth Avedon for the Soho Photo Gallery's National Photography Competition. Show runs July 8th - July 25th. 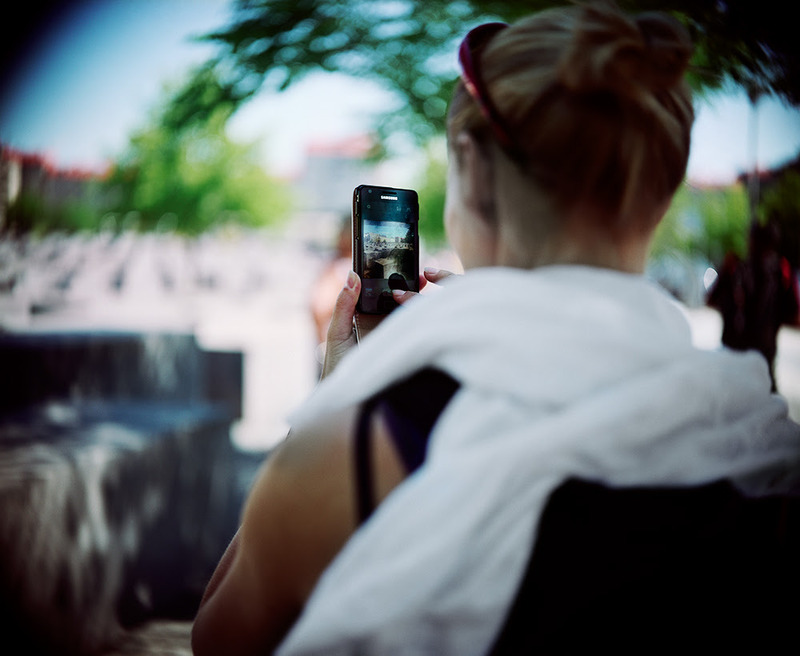 Seeing Memorials is a series of images taken mostly with a Holga toy camera at atrocity sites and battlefields. The work is part of a two-person show Projects in Black and White with Laurie Snyder's series Mends at the Corners Gallery in Ithaca NY - through February 28. 2015. Holland Cotter reviewed Smack Mellon's show, in which 200 artists respond to racist policing, in the NYTImes on . The article was the front page lead in Friday January 23rd. 's Arts section. I attended the packed opening on January 17. At one point 150 people were waiting in line outside; the building was at capacity. See item below for my piece (in this photo: second row up, to right of child's portrait). Yesterday after a rather harrowing snowy drive from darkest upstate New York I delivered my contribution to Brooklyn not-for profit gallery Smack Mellon's upcoming show RESPOND! Two hundred artists' work was selected from 600 submissions on the topic of police brutality towards people of color. Looking forward to the opening on January 17. Show runs from then through February 22. My portolio of images from Site/Sight was selected by juror Paul Kopeikin, of Kopeikin Gallery in Los Angeles, for the Houston Center for Photography's 2015 Fellowship. I'm delighted and a bit astonished... The Fellowship is a solo show at HCP in May and June, 2015, with a substantial award to fund the exhibit and for travel to Houston to give a talk at the opening. Many thanks to Paul and to HCP for this wonderful opportunity! 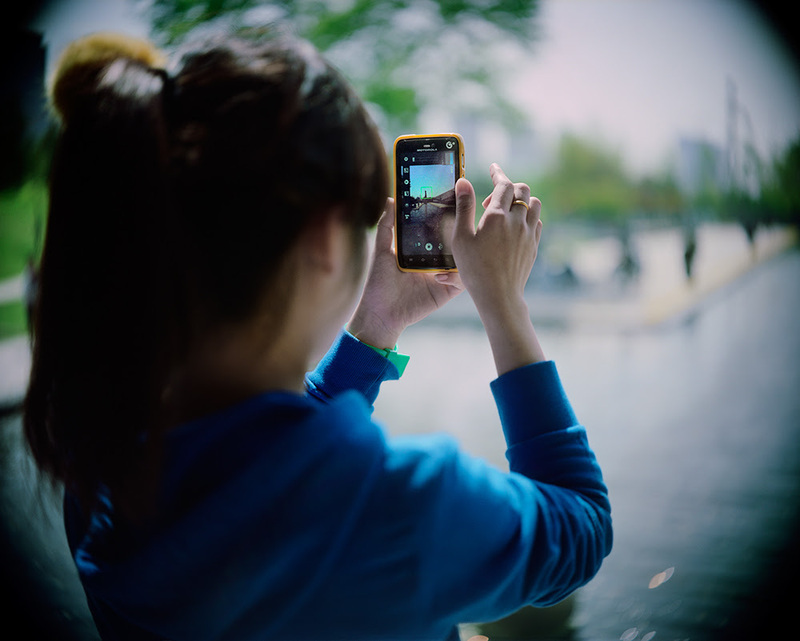 April also awarded the piece one of the competition's Arlington Camera Awards. List of accepted artists here. Many thanks to the Community Arts Partnership of Tompkins County (NY) for awarding me an SOS grant (Strategic Opportunity Stipend) to help with the costs of attending Photolucida in Portland, OR, in April 2015. I'm looking forward to some fun portfolio reviews and meeting lots of fellow artists! Two images from Site/Sight were selected by noted book and exhibition designer Elizabeth Avedon for the show NEXT: New Photographic Visions at Castell Photography in Asheville, NC. The show runs through December 20th. I have pieces in three group exhibitions: in Chicago, Syracuse, NY, and Cortland, NY. Details are below the image, which is from my multi-year backyard project about mass graves and memorials; it's in two of the shows. ▪ Site/Sight was just published with a nice interview on the photo blog Feature Shoot. ▪ Memorial Sloan-Kettering Cancer Center in New York City has acquired three prints from the series False Horizon, photographs made on beaches - quite soothing, unlike most of my work... They can be seen at their 64th. Street and Rockefeller Outpatient facilities in Manhattan. This May Have Happened, at David Wienberg Photography in Chicago, is part of the Filter Photo Festival. Juror Gordon Stettinius of Candela Books selected work that "celebrates the unresolved visual narrative". I'll be at the Juror’s Reception: Friday, September 26, 6:30-9 pm. GLOBALissues. CLIMATEmatters. SocialCHANGE is at Artrage in Syracuse, NY, selected and curated by Mary Murray, curator of Modern and Contemporary Art at the Munson-Williams Proctor Arts Institute; Debora Ryan, curator for many years at the Everson Museum of Art; and Rose Viviano, ArtRage Gallery’s curator and director. I'll give a talk with photographer Paul Pearce on October 8th. at 7:00 p.m. The inaugural Cortland National Photography Exhibition at SUNY Cortland's Beard Gallery is showing two of my Pepper Spray series - Palladium prints with fingerprints of anonymous visitors to skin hides , a 2012 show with 2x2 Collective. SITE/SIGHT, my project about people photographing at genocide and atrocity sites is up on Feature Shoot, with a nice interview by Alyssa Coppelman. Thanks, Alyssa! Soho Photo Gallery 2014 National Competition - Runner-up Award! In 2013 I visited twenty-one sites, memorials, and museums related to atrocity and genocide. 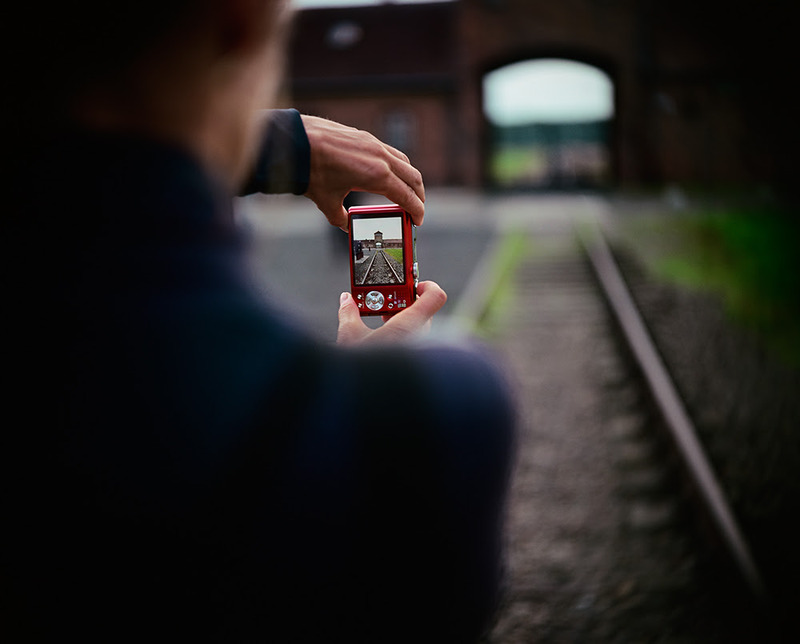 At these places, emblematic of the violent histories that have formed our contemporary world, it is almost automatic for visitors to raise their smart phones and cameras. I explore this very contemporary action and its implications for seeing and empathy. The subjects rarely know that I am photographing them, even though I handhold a 4x5 press-camera. My vintage equipment fits with a project that examines the present in terms of the past. The photographs are titled with the name of the memorial and the country where it is found, so the body of work is also a catalog. Talk Tompkins is a group of 24 portraits of and interviews with people from my home county in upstate New York - a voyage of discovery in the place where I live. It is part of the Tompkins County Public Library's Sesquicentennial 150 Years and Counting at the library on Green street in Ithaca, N.Y.The show opens Friday April 4th, 5:00 to 8:00 p.m. and will be up for three months. One portrait from the series was "best in show" at Ithaca's State of the Art Gallery's 25th Juried Photography Invitational last month.